Bank of Nova Scotia s kicking off earnings season for banks on Nov. 29 as it announces its fiscal Q4 results. While investors shouldn’t expect anything spectacular, analysts expect the Big Six to stay profitable in the face of a weak Canadian economy, according to a report from the Financial Post. 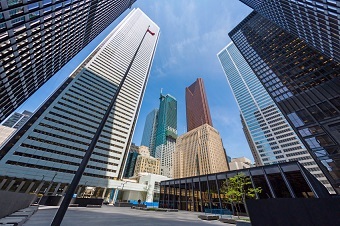 For the past few years, Canadian investors have been spectators to the banks’ profitable performance, which have defied headwinds such as a heavily indebted Canadian population, an oil price collapse, and fears of a housing bubble in certain overheating markets. Last-quarter performance can be weakened by expenses that tend to be seasonably higher, but experts are still expecting the firms to deliver a positive overall performance to cap off the fiscal year. “We have actually reduced (marginally) our loan loss assumptions for Q4/F16, though the fact that this quarter often acts as a clean-up quarter means one should not expect the overall strength we saw in Q3/F16, especially considering that expenses tend to be seasonally higher,” said CIBC World Markets analyst Robert Sedran. Earlier this year, some banks increased their loan-loss provisions – money allocated towards covering any loan defaults – but there hasn’t been any significant rise in missed loan payments among energy companies in spite of low oil prices. Earnings growth has been weak compared to previous years for most banks. Regardless, the financial sector has outperformed the broad S&P/TSX Composite, achieving an 18% YTD return compared to the index’s 15% showing. According to Sedran, the banks’ improved profits can be attributed to previous pessimistic forecasts that did not come to pass: aside from overblown fears of energy company defaults, the Vancouver and Toronto housing markets have not undergone any meaningful reversals. Sedran is more optimistic. Aside from predicting that the group will cap off the year with 3% overall earnings growth, he foresees 5% growth next year, along with dividend hikes from Bank of Montreal, Laurentian Bank, and the National Bank of Canada as they make their final earnings announcements for 2016. How did National Bank beat expectations? Is there a dark side to Canadian bank outperformance?